K-12 education reform and policy has seen a recent surge in the cinema with "Waiting for Superman," "The Lottery," and this fall’s "Won't Back Down.” However, if you can’t bring yourself to spend $9.00+ at the box office, or (like me) have a hard time finding babysitters to even get out of the house, here is a noteworthy PBS special to satisfy your documentary appetite. But it’s more than just the unconditional love factor that shapes Sharpstown’s culture. 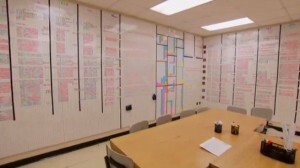 Gasparello describes Brevard as “half mom, half statistician…she is here to help us focus in on the data…and she likes it.” One of my favorite parts of the documentary is at the 23:00-minute mark where viewers get to peek inside Brevard’s “data room.” The room has white boards wall-to-wall, floor-to-ceiling, which are absolutely covered with data on each student, by class period and subject. 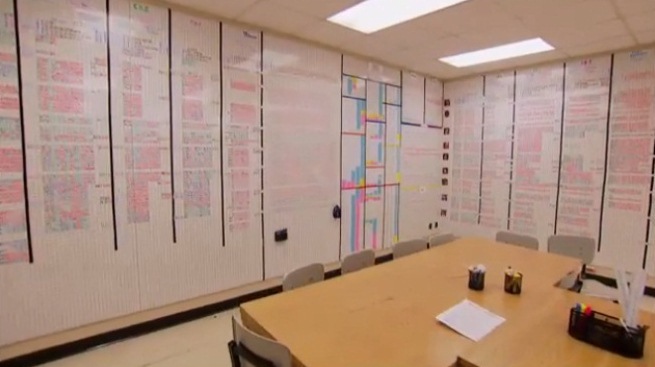 It is eerie and impressive, reminding me of a scene from the movie “A Beautiful Mind.” The unrelenting focus on data allows Sharpstown educators to maintain high expectations for all students, and is evident in Brevard’s PLC and staff meetings. When Terry Grier took the superintendent spot at HISD in 2009, he learned that four of Houston’s 44 high schools were failing. Grier had a choice between closing the schools, handing them over to charters, or trying something innovative. He chose the latter and partnered with Harvard University's Dr. Roland Fryer of the Education Innovation Laboratory (EdLabs). HISD rose $61 million to implement the five research-based strategies—or tenets—identified by Dr. Fryer as a foundation for the “turn around” of HISD’s Apollo 20 schools. Effective Principal and Teachers in Every School - Teachers were rewarded for performance, and held accountable if they didn’t bring value to the classroom. High-dosage Tutoring - In core subjects. While it’s too soon to claim conclusive results for all Apollo 20 schools, Sharpstown HS certainly has some successes to be proud of. The video highlights that on the Algebra I End-of-Course exam, 79% of Sharpstown HS students were “Satisfactory” and they had the “highest percentage of Advanced students” of any comprehensive high school in HISD. These are impressive achievement results for math, but HISD also partners with SAS to provide value-added reporting to shed light on school improvement efforts. 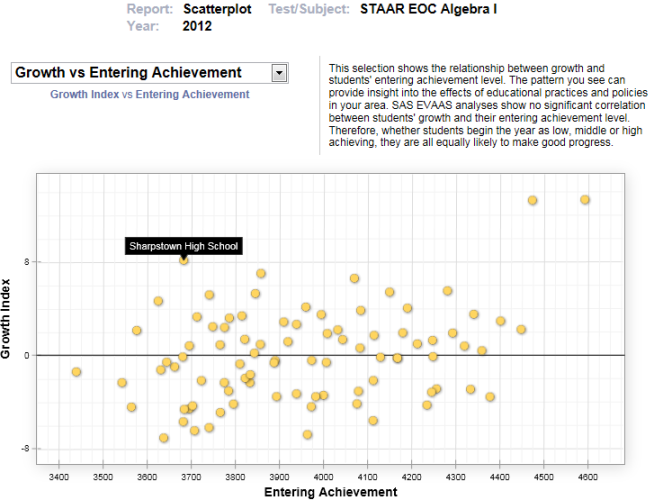 Based on public reporting, we can see that Sharpstown students also made significantly more than the expected amount of growth last school year, despite having lower entering achievement levels. The bottom line is- these kids can learn despite their challenging circumstances, and they are excelling in certain subjects.